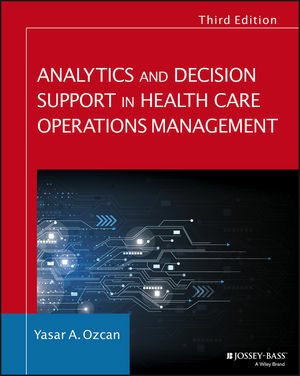 Analytics and Decision Support in Health Care Operations is a comprehensive introductory guide to quantitative techniques, with practical Excel-based solutions for strategic health care management. This new third edition has been extensively updated to reflect the continuously evolving field, with new coverage of predictive analytics, geographical information systems, flow process improvement, lean management, six sigma, health provider productivity and benchmarking, project management, simulation, and more. Each chapter includes additional new exercises to illustrate everyday applications, and provides clear direction on data acquisition under a variety of hospital information systems. Instructor support includes updated Excel templates, PowerPoint slides, web based chapter end supplements, and data banks to facilitate classroom instruction, and working administrators will appreciate the depth and breadth of information with clear applicability to everyday situations. The ability to use analytics effectively is a critical skill for anyone involved in the study or practice of health services administration. This book provides a comprehensive set of methods spanning tactical, operational, and strategic decision making and analysis for both current and future health care administrators. From statistical techniques like multiple regression, decision-tree analysis, queuing and simulation, to field-specific applications including surgical suite scheduling, roster management, quality monitoring, and more, analytics play a central role in health care administration. Analytics and Decision Support in Health Care Operations provides essential guidance on these critical skills that every professional needs. YASAR A. OZCAN, PhD, is Charles P. Cardwell, Jr. Professor and vice chair and director of the Master of Science in Health Administration program at Virginia Commonwealth University. Extensively published in health care performance assessment, he is the founding Editor-in-Chief of Health Care Management Science. Dr. Ozcan's massive work has applied data envelopment analysis to health care facilities including hospitals, nursing homes, mental health care organizations, and more. He has taught health analytics and decision support in VCU's MHA and Executive MSHA graduate programs for more than 30 years.